Inläggen finns i två storlekar: storlek S passar gPants i storlek newborn och S, storlek M-XL passar gPantsen i storlek M/L/XL. För att använda gDiapers blöjor på heltid rekommederar vi ha 24 inlägg. Prep cloth inserts before first use by washing 3x on hot, no detergent. Dry in between washes. For regular care, machine wash warm or hot with a small amount of cloth-safe detergent. Avoid using barrier creams with cloth inserts. Avoid bleach or detergents with added enzymes, whiteners, or fabric softeners. Simplicity is best. Machine or line dry. Cloth inserts need to be changed more frequently than disposables. When the nappy is soiled, simply remove the cloth insert and tuck in a new insert for a fresh change. Use the same gPant through multiple changes. Change out the snap-in pouch when dirty. For overnight or for heavy wetters, use 2 cloth inserts at one time, with the hemp sides facing each other. Or, use a combination of a cloth insert plus disposable insert. 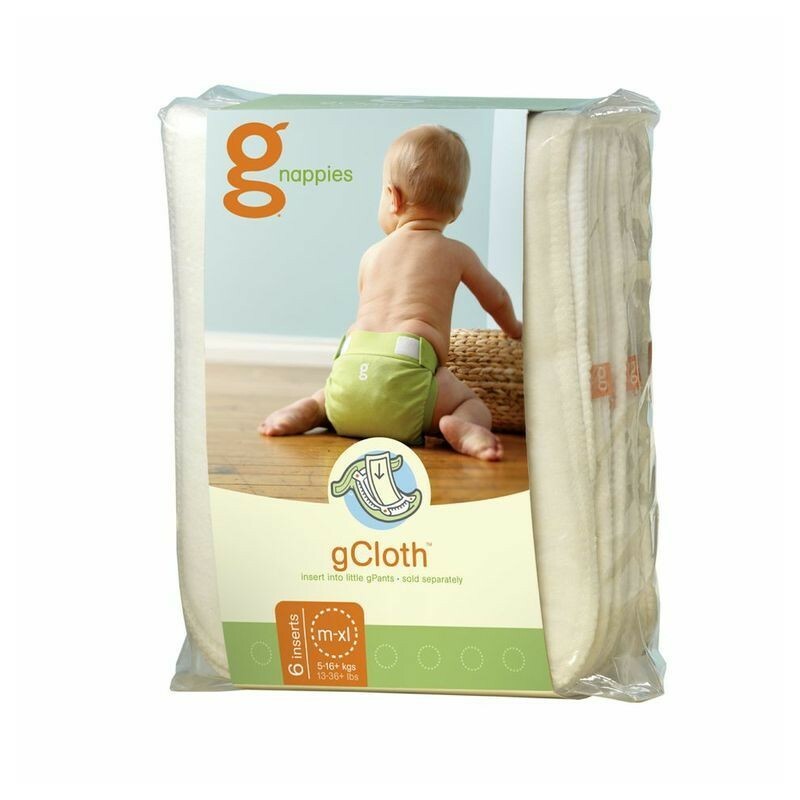 Keep a stash of 18-24 (3-4 packages) of cloth inserts for full-time cloth nappy use.